Tom was a vibrant and loving young boy with a zest for life and an unforgettable smile, and he continues to be a powerful motivator of the foundation every day, with the drawing of blue dinosaurs that he loved to do so much becoming the logo for his foundation. 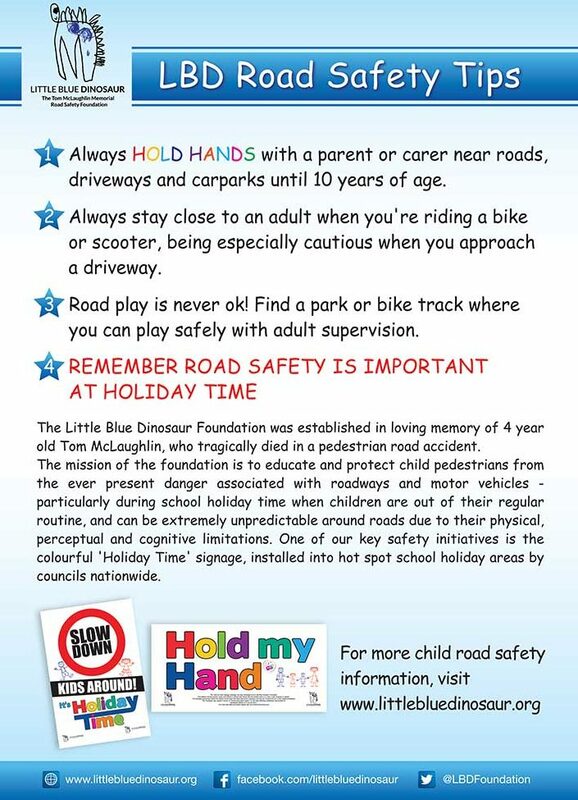 The tragic loss of Tom in a pedestrian road accident on the Central Coast in 2014 was the motivation behind the Little Blue Dinosaur Foundation (LBD), ensuring the promising legacy we saw in Tom’s young life is realised through child road safety initiatives and education. 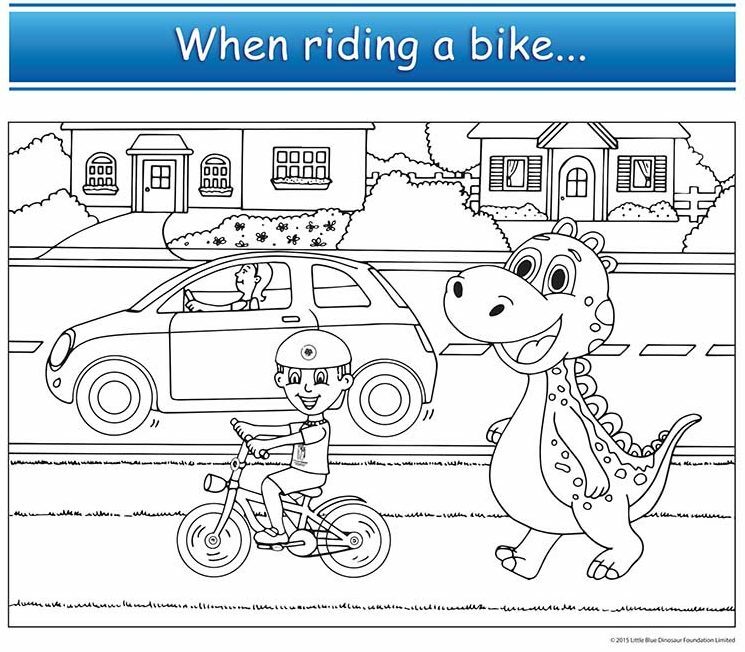 The Little Blue Dinosaur Foundation is a voice for children. It is Tom’s voice. A clear, determined and passionate voice that speaks to children, for children and their safety. 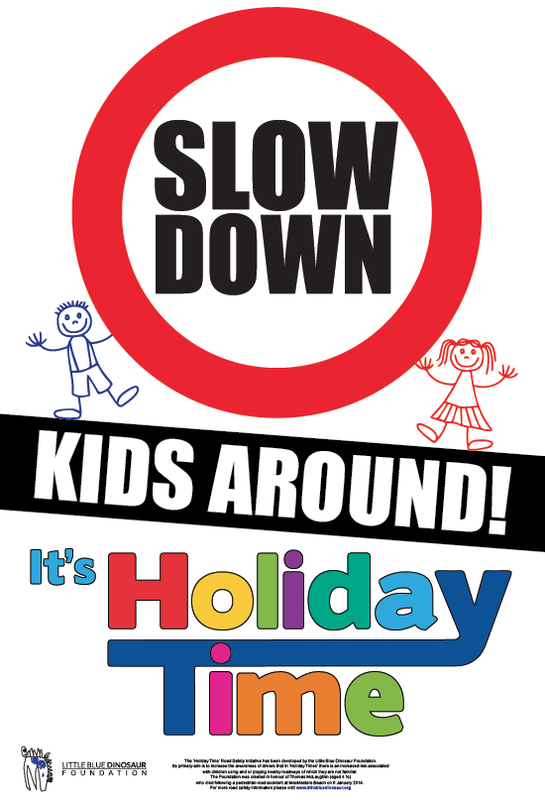 Tom’s message “Slow down; kids around” is an essential one that must be heard in every street, city and town. The work of the Foundation is Tom’s legacy and a single life saved through education and awareness raised in his name is an objective we are all very proud to strive for. A critical analysis of the circumstances around this heartbreaking event that tragically cost Tom his life has encouraged the foundation to develop and implement initiatives that ensure children recognise the differing roadway environments they interact with. They also aim to educate parents/carers of the potential dangers in their children’s “out of normal environment” interactions, which most often occur in Holiday Times, where the risk profile is raised significantly due to increased traffic and pedestrian activity. And of course in the case of a small fragile child pedestrian the chances of death occurring in reality is almost a certainty. At the age of 8, children start to recognise differing roadways and become more confident in coping with changes in the traffic environment. Until then, they are incredibly vulnerable. 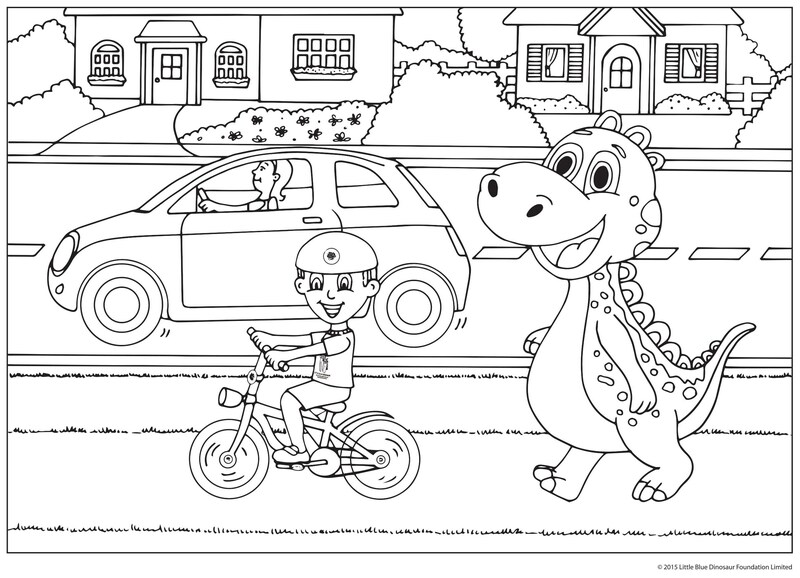 Children have physical, perceptual and cognitive limitations around roads. They are often absorbed in what activities they are doing & whilst they might hear a message such as “stop!”, it will take their brain additional time to react. This could potentially place them in life threatening danger. Always take a parent/carer with you. Ride on footpaths wherever possible or try a local bike park. Wear an approved and well-fitted helmet. Make sure drivers can see you – wear bright clothing and put reflectors on your helmet and bike so drivers can see you. Watch for moving cars in driveways. Parents: Stay close to your child.